Who's On First? 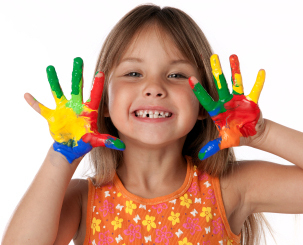 is a Children's Enrichment Studio for children 2 to 4 years old. It is centrally located in Carroll Gardens, Brooklyn just down the block from acclaimed P.S. 58 and a few blocks away from Carroll Park on a charming tree lined street... 1st Place. A family-run business, Kathryn Sennis, has co-founded the studio with her daughter, Nicole Pappas. At the heart of Kathryn and Nicole’s inspiration for the studio is their love of children and desire to create a nurturing and supportive environment for children and their caregivers. Our aim is to enhance self-esteem, problem-solving, socialization and conflict-resolution skills through our Preschool Alternative Program and to foster free expression through art, music, and creative movement. Early childhood is the most important phase throughout your child’s lifespan and experiences and environment highly influence abilities through middle childhood, adolescence and into adult life. As the African proverb denotes, “it takes a village to raise a child”. It is our firm belief that an inviting environment, self-directed enrichment activities, a low child to teacher ratio, and a patient approach will enable the discovery of each child’s unique abilities, while having a world of fun! We are dedicated to strengthening the foundation of your child’s life. Kathryn Sennis, L.C.S.W., has worked and resided in Carroll Gardens for over thirty years. Having attained her Master’s degree from Columbia University and licensing to practice individual, child and family therapy in the State of New York, she has twenty years of experience working with young children and families. She has a private practice, has conducted exemplary work in the arena of mental health, coordinated one of the largest treatment programs in the Metropolitan area, as well as has taught on the college level. 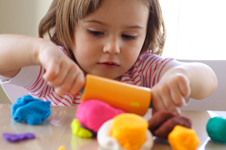 Her extensive experience with young children includes the use of puppets, art, dolls, storytelling, games, dramatics, and music as a means of expression. At Who’s on First?, Kathryn has authored a program wherein these modes of expression have been incorporated so as to enable independent thinking and has created an environment conducive to facilitating self-esteem enhancement, discovery and learning. Having worked with her father in his DUMBO glass studio throughout her youth, Nicole learned the art of stained and etched glass and completed a myriad of professional projects alongside her father until his passing in 2006. Her appreciation and devotion to Art manifested in her attending The Fashion Institute of Technology where she studied Art History and Merchandising and earned her Bachelor of Science degree. She soon became part of the Home Design team at Ralph Lauren and later joined forces with Gap International, working for the Japan division. Her creative strengths and motivation led her to develop her talents in music and dance. She studied classical piano for nine years and became an accomplished dancer, having won multiple awards. "There's nothing more instrumental than building self-confidence." Her goal is to foster a program which instills the value of discovering ones abilities during the most formative years of childhood development. Dana received her graduate degree in School Counseling from Hunter College in 2014. While attending Hunter for her bachelor’s degree in Psychology, Dana was given the opportunity to volunteer at the Police Athletic League, a non-for-profit agency throughout the five boroughs of NYC where she worked with children from K-5th grade. After volunteering, Dana took on a position with P.A.L. as Youth Development Specialist where she worked with over 200 students conducting individual and group counseling sessions. She developed lesson plans and directed staff to successfully exceed goals by managing program initiatives. Her training enables her to identify student’s strengths and to help cultivate them. She also strives to spark a love for learning and to guide children to hone that experience. Dana is at the forefront of each student's education and socialization experience at WOF. Dana is CPR and First Aid certified.